The National College of Art and Design (NCAD), Dublin, has today (03.03.17) launched the ‘Shape the Future’ exhibition, which provides a chance to see new work by twenty of Ireland’s most exciting and creative designer-makers. The exhibition explores how craft and design shape our cultural identity. The designer-makers featured in the exhibition have been awarded Design & Crafts Council of Ireland’s Future Makers prizes and development funding over the past seven years. The work covers a wide range of disciplines across Fashion, Jewellery, Accessories, Textiles, Furniture, Product Design, Glass, Ceramics and Leather. Curated by Angela O’Kelly, Head of Design for Body and Environment at NCAD, the exhibition was officially opened at the NCAD Gallery, Dublin on Friday 3rd March at 6pm and will run until 20th March. The exhibition has been organised as part of the Ireland 2016 programme and is a touring exhibition of the National Craft Gallery. Commenting at the launch, Angela O’Kelly said: “Irish design and craft is having a moment. Irish designer-makers are growing with confidence, adapting traditional techniques and combining them with new materials and processes to create unique works. “The premise of the exhibition is how craft and design shape our cultural identity and how culture has influenced the work of the participating makers. Shape the Future showcases works by twenty of Ireland’s most dynamic designer-makers who have been supported through the Design & Crafts Council of Ireland’s Future Makers Awards & Supports. Natalie B Coleman: The fashion designer’s collections play on feminine silhouettes with humorous and sometimes subversive illustrative prints and motifs. Coleman’s work pivots between tradition and innovation, and indigenous tweeds from family weavers Molloy & Sons in Donegal are frequently used in the collections. She has developed a “modern Irishness” in her work. Coleman is also a fashion lecturer at NCAD. Pierce Healy: The award-winning designer-maker creates subversive objects and jewellery often layered with intricate engravings. Currently preparing for a solo exhibition in the US, the designer is fascinated by the idea that jewellery is our second skin and when worn becomes something bigger, something other worldly as it takes on the scratches, dings and stories of the wearer’s adventures. Siofra Caherty: Both a fashion and product designer, Caherty’s brand Jump The Hedges creates solutions to everyday problems. The designer, based in Belfast, creates products that utilise new technologies and innovations in a sustainable and efficient way. Most recently, Caherty has been working as a Costume Breakdown Artist with HBO production, Game of Thrones. Kate O’Kelly: Kate works primarily in ceramics, slip casting and model-making. 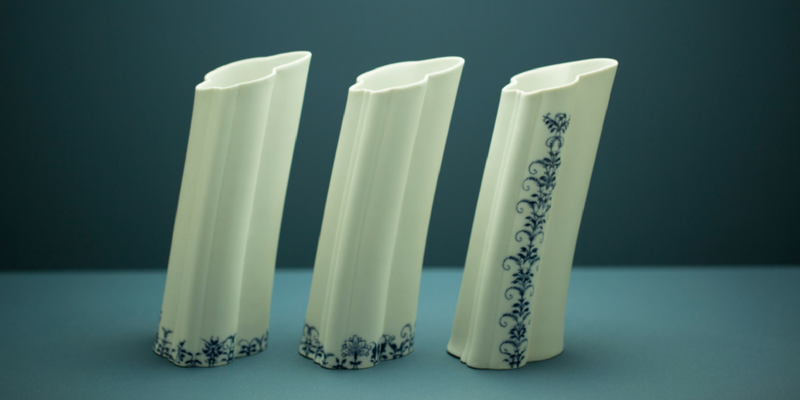 Her work adapts traditional techniques to produce innovative, unique contemporary ceramics. Superfolk: The design-and-make studio led by partners Gearoid Muldowney and Jo Anne Butler creates home-wares “for people who love the wild outdoors.” Their products have been stocked in design and concept stores across Ireland and in Paris, Berlin, London, Zurich and Tokyo. 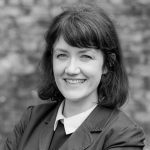 Karen Hennessy, Chief Executive of the Design & Crafts Council of Ireland (DCCoI), said: “The Future Makers Awards & Supports programme was launched by DCCoI in 2009 and is one of the biggest award programmes in Europe for students and emerging makers. It is also one of a number of DCCoI initiatives nurturing and empowering emerging creative talent in Ireland. The twenty designer-makers participating in the exhibition are: Cillian Ó’Súilleabháin; Gail Mahon; Jackie Maurer; Jaki Coffey; Jennifer Slattery; Karen Donnellan; Kate Murtagh Sheridan; Kate O’Kelly; Lisa Ryder; Lorna Boyle; Natalie B Coleman; Owen Quinlan; Pierce Healy; Print Block; Sam Hamilton; Síofra Caherty; Snug; Superfolk; Suzanne Rogers; and Úna Burke. The Design & Crafts Council of Ireland’s ‘Future Makers Awards & Supports’ provide support for the next generation of makers to learn, experience, investigate, develop, create and shape the future of Irish craft and design. The exhibition opening times are: Monday 6 – 20 March 2017, Mon – Fri, 1pm – 5pm. Admission is free and all are welcome. For more information, visit http://www.ncad.ie/about/gallery/.